Music ‘I, Culture’ Orchestra: can music change politics? The 'I, Culture' orchestra, a nascent collective of musicians from Europe’s eastern neighbourhood, has this week embarked on its first European tour. Ceasefire's classical and opera critic, Paul Guest, speaks to its artistic director Pavel Kotla, about the political and artistic vision of the project. 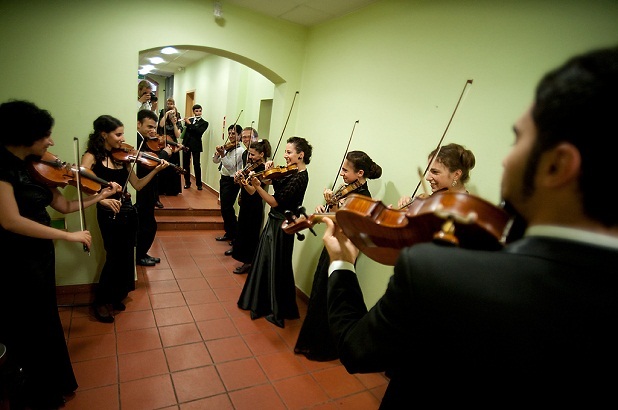 Poland’s international cultural body, the Adam Mickiewicz Institute, recently announced the launch of a new orchestra of “young professionals” formed of instrumentalists from the fringes of Eastern Europe. Inspired by Daniel Barenboim’s West-Eastern Divan Orchestra, the I, Culture orchestra is a new project seeking to forge stronger partnerships with Europe’s eastern neighbours (Belarus, Ukraine, Moldova, Georgia, Armenia and Azerbaijan) whose countries are progressing following a turbulent transition to democracy, periods of political and military unrest and historic differences. 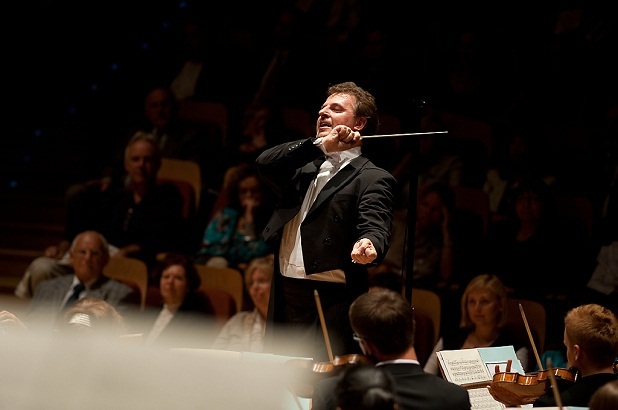 It seems it is now music’s turn to forge these greater ties across the region; The I, Culture Orchestra, under the leadership of its Artistic director Pavel Kotla, attempt this brave and powerful political message by unleashing their orchestral forces on tour around European concert halls with the help of their appointed honorary conductor and British maestro Sir Neville Marriner. Pavel Kotla is no stranger to the next generation of musicians, he spent much time with the London Symphony Orchestra directing their UBS: Soundscapes: Pioneer’s series where he championed works by new young composers. 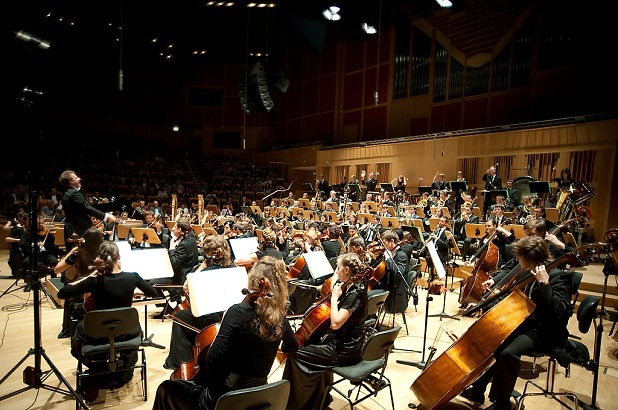 A fine conductor too, Kotla has worked with the London Symphony Orchestra and CBSO as well as distinguished conductors Sir Colin Davis, Valery Gergiev and Sir Neville Marriner. In excitement, Pavel Kotla said, “This is one of the best projects I could have ever hoped for.” For Kotla, this is a chance to influence a movement for political change as well as taking a slightly naïve and inexperienced group of talented musicians under his experienced wing and introducing them to the border-transcending power of artistic excellence. The tour begins on the 4th September 2011 at the Berwaldhallen in Stolkholm conducted by Kotla and then travels through Kiev, Berlin on the 2nd November, Brussels, then reaching the Royal Festival Hall in London on the 6th November, going on to Madrid and ending in the projects origin country of Poland at the Phiharmonic Hall in Warsaw.